Alexandria - City residents who receive trash service must place their trees at the curb (no alley) Trees should be set at your regular yard waste collection point, on your trash collection day. The trees are then collected on the first two Saturdays in January. Put your tree out there by 6 am. Trees collected during this time will be ground into mulch and available to residents in the spring. To prepare trees for collection, residents are reminded to: Remove all ornaments, tinsel and stands. Do not place in plastic bags. For more information about Christmas tree recycling or spring mulch, call the City's Solid Waste Division at (703) 519 - 3486. During the first two full weeks in January, Christmas trees are collected curbside for residential homes with trash and recycling service. Residents are reminded to place the tree on the curb no later than 6 a.m. on your regular trash collection day and to remove all decorations, nails, stands and plastic bags. The trees are later ground into wood mulch for garden use. Christmas Tree Drop - Off: Residents who don't have curbside recycling service, such as those living in townhomes, apartments or condominiums, may also bring their Christmas trees to the Solid Waste Bureau during the Christmas tree collection season. Call 703 - 228 - 6570 to schedule an appointment, Mon. - Friday, 8 a.m. - 3 p.m. Residents will need to show proof of residence in Arlington, such as a driver's license. After Jan. 13, please prepare the tree for yard waste collection on your regular trash collection day. Once collected, trees will be recycled into mulch. Chesapeake, VA - Christmas Tree Recycling - Every year the Public Works Department offers free disposal of your Christmas tree. We start collecting them right after Christmas and will be collecting Christmas trees on your regular collection day through January 13 . Don't forget to remove everything (ornaments, lights, tinsel) from your tree before bringing it to the curb. If it didn't originally grow on the tree, it needs to be removed. And be cautious of where you place the tree. Be sure it isn't blocking the flow of traffic, pedestrians or stormwater and keep it at least three feet away from any obstructions like mailboxes, telephone poles or cars. Chesterfield County, VA - The county operates two convenience centers for household refuse disposal and recycling. These services are provided for county residents only. The sites accept waste generated from residential homes, including household waste, construction/demolition debris, brush and yard waste and bulky waste. For additional information , call 804 - 748 - 1297. Additionally, numerous recycling options are available at the sites. Falls Church, VA - Christmas trees are collected free of charge on Wednesdays in January and February (except on City-observed holidays). Placing your tree at the curb during the first 2 weeks in January ensures speedy collection. 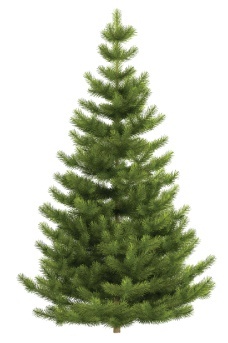 Place your Christmas Tree at the curb after removing plastic bags, rope, and all decorations, including tinsel. Apartment & Condominium Residents: Residents who live in apartments and condominiums that receive private trash and recycling service may recycle trees by taking them to the brush collection area at the Fairfax County Citizens' Disposal and Recycling Facility, located at:4618 W. Ox Road, Fairfax, VA 22030. Fairfax County - If you have country trash service, put your tree on the curb on trash day during the first two weeks in January.After that, you must schedule a brush pickup to have your Christmas tree removed. If you use a private trash service, call your company for instructions. Christmas trees may also be recycled during the first two weeks in January at either the I - 66 Transfer Station or the I - 95 Landfill Complex . There is a small processing fee of $1 per tree. Please remove tree stands, ornaments, tinsel, lights and tree toppers before recycling. Also see this page for more information . 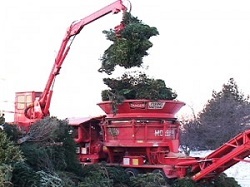 Gloucester County - from December 26 to the end of January, Residents may place Christmas trees in the brush container at any Gloucester County Convenience Center during regular hours (Monday to Friday 8 AM to 7 PM and Saturday 7 AM to 7 PM.). Tree must be free of the stand, ornaments, tinsel and lights. Trees will be mulched along with other yard debris. The mulch is provided free of charge to county residents from the main landfill location. However, residents are strongly encouraged to call ahead to ensure mulch is available for pickup. Middle Peninsula Landfill and Recycling Center - 3714 Waste Management Way (Entrance on Route 17). James City County - Live Christmas trees will be accepted for recycling Dec. 26 through Jan. 31 at all 3 County convenience and recycling centers. Trees must be free of all tinsel, lights and decorations. See their website for updates. Monday, January 7, 2019. Trees with a trunk size of less than 6" in diameter may be set out on Monday night for pickup by the Street Maintenance Division during their routine brush collection schedule. The crew circulates through town with the chipper truck on Tuesdays and Wednesdays and will collect trees curbside if they are out by Monday night. please check carefully for items hidden behind thicker branches or limbs, Remove tinsel, fake snow, angel hair, etc., Remove all lighting from trees, Remove all twine, metal or plastic ties and string. Place tree at curb the night before recycling day or Monday night for brush collection. Do not place in plastic bags or "Christmas Tree Disposal Bags". Remove stands and bases from trees. 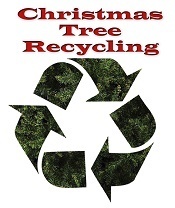 Loudoun County, Virginia - Residents who receive curbside recycling services should contact their homeowners association, town office, or private waste collector for Christmas tree curbside recycling information. See Curbside Refuse and Recycling Collection for more information. Christmas Tree Collection. Residents who receive curbside recycling services should contact their homeowners association, town office, or private waste collector for Christmas tree curbside recycling information. See Curbside Refuse and Recycling Collection for more information. From late December through mid-January, Loudoun County collects Christmas trees at several locations which are listed below. Each year, the county processes thousands of Christmas trees into mulch available for free to Loudoun residents. Loudoun County Landfill Recycling Dropoff Center; 21101 Evergreen Mills Road, Leesburg, 20175. Open Monday through Saturday from 8:00 am to 4:00 pm. Franklin Park, 17501 Franklin Park Dr., Purcellville, 20132. Open daily, 7:00 am to 5:00 pm. Town Hall (rear parking lot next to tennis court), 43055 Center Street, South Riding, 20152. Open daily. Click here for the addresses and more information . Each year, the county processes thousands of Christmas trees into mulch available for free to Loudoun residents. Christmas Tree Recycling Do's & Don'ts: Christmas trees should not be placed in bags. All decorations, light strands, tree stand, and bag should be removed before setting the trees out for recycling or taking them to any of the county's collection locations. The Christmas tree drop - off program is for residential use only. Tree vendors are welcome to use the Loudoun County Solid Waste Management Facility at 21101 Evergreen Mills Road, Leesburg, VA 20175 to recycle left over Christmas trees for $62/ton. For more information please call 703 - 771 - 5514. Richmond Area of Central Virginia - The City of Richmond Department of Public Works and the Richmond Clean City Commission will be hosting its annual "Bring One for the Chipper" Event on Saturday, Jan. 6, 2018 from 10 am -2 pm at 1710 Robin Hood Rd and N. Blvd. (field across from the Arthur Ashe Center. In addition to Christmas Tree recycling, the city is hosting electronics recycling ( fees may apply on certain items) and document shredding ( up to 5 boxes) and city recyclers can drop off their 24 gallon green bins for reuse in city schools since now have 95 gallon recycling cart with a blue lid. Please contact the City of Richmond staff directly for fee information and other requirements as this event is for City of Richmond residents only. Proof of residency required. Residents can also leave their tree next to their "supercan" on trash day and it will be recycled.Please be sure to remove all decorations, tinsel, bulbs, wire and bolts from the tree. Unless indicated, sites will grind trees into mulch. Use of each site/option is restricted to residents of the sponsoring city or county only. ASHLAND Set tree at curb for collection by town crews. CHESTERFIELD Through January 31, 2019 Northern Area Convenience Center, 3200 Warbro Rd. off Genito Rd. or off Hull St. Rd. (Monday, Tuesday, Friday through Sunday 9:30 am to 6 pm) Southern Area Convenience Center, 6700 Landfill Rd. off Rt. 10 (Ironbridge Rd.) (Monday, Thursday, Friday through Sunday 9:30 am to 6 pm) No tree vendors! COLONIAL HEIGHTS January 5,6,11 & 12, 2019 Recycling Center, 2701 Conduit Road (behind Sheetz Gas Station) Fridays & Saturdays, 8 am to noon AND 1 to 5:00 pm (closed from 12-1 pm and holidays) Residents can call (804) 479-7056 for more information. GOOCHLAND Through Jan. 31, 2019 Central Convenience Center, Rt. 632, near Rt. 522, 1908 Hidden Rock Lane (open 7 days a week) Western Convenience Center, Rt. 606, 3455 Hadensville Fife Road (closed on Wednesdays) 7:30 am to 6 pm Sundays 1 pm- 6 pm Click here for more Goochland Convenience Centers information. Hanover County December 26 through Jan. 31, 2019 Rt. 301 Transfer Station , Courtland Farm Rd. (Rt. 820) from 8am to 4p, Mon from Sat (closed Sunday and holidays) Mechanicsville Center, 7427 Verdi Ln. (Rt. 710) from 7am to 7p, daily (closed holidays) Courthouse Center, 7234 Courtland Farm Rd. to 7am to 7p, daily (closed holidays) Beaverdam Center, 18400 Beaverdam Rd. (Rt. 715) from 7am to 7p, daily (closed holidays) Doswell Center, 11224 Doswell Rd. (Rt. 688) from 7am to 7p, daily (closed holidays) Elmont Center, 11045 Lewistown Rd. (Rt. 783) from 7am to 7p, daily (closed holidays) Montpelier Center, 15188 Clazemont Rd. (Rt. 715) from 7am to 7p, daily (closed holidays) Click here for more Hanover Convenience Centers information. *Please contact City of Richmond staff directly if you have questions. Powhatan - Jan. 2 - January 31 at Yard Works, 1990 Anderson Hwy, 7:30 am - 5 pm (Mon - Fri) Let the Powhatan Anti - Litter Council and Yard Works (in Powhatan) help you "Go Green" this holiday season! 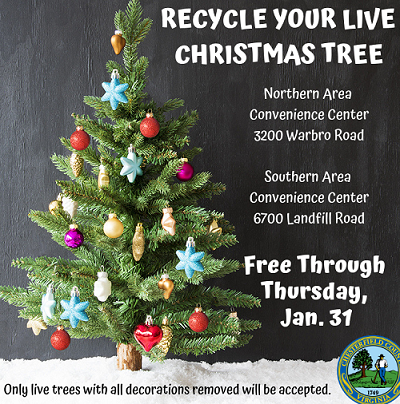 Yard Works and Powhatan Anti - Litter Council will partner again this holiday season to offer live Christmas tree collection and recycling free of charge to local residents. This service has been offered to the Powhatan community at no cost for more than 12 years. All decorations and lights must be removed from the tree. Trees will be ground into mulch. No artificial trees accepted. For more information, call Yard Works at (804)639 - 0311 or the Powhatan Extension Office at (804)598 - 5640. Remove all decorations from the trees and please keep trees separate from other household waste. No artifical trees accepted free of charge. Container First Services is offering Christmas Tree Recycling for Prince George residents. Sat, 8 - 4 except for City - observed holidays (call 886 - 7947). 1176 Pineridge Road, Monday through Saturday, 10 AM to 2 PM. Portsmouth - Christmas trees may be put at the curb for pickup on your regular trash collection day. The stand, ornaments, tinsel and lights must be removed. The trees will be taken to the City Landfill and mulched. After you remove all ornaments, decorations, tinsel, nails and the tree stand, you may recycle your cut tree and greenery at several convenient locations. The Prince William County Landfill, 14811 Dumfries Road in Manassas; Monday - Saturday, 6 a.m. to 6 p.m.; Sunday, 8 a.m. to 5 p .m. The facility is closed New Year's Day. The Balls Ford Road Compost Facility, 13000 Balls Ford Road in Manassas Monday - Saturday, 7:30 a.m. to 5 p.m.; Sunday, 8 a.m. to 5 p.m. The facility is closed New Year's Day. Leesylvania State Park, 2001 Daniel K. Ludwig Drive in Woodbridge, off Neabsco Road. Trees may be dropped off at Shelter #2 and will be used for wildlife and aquatic habitats. Northern Virginia Electric Cooperative (NOVEC), 5399 Wellington Branch Road in Gainesville December 26 to January 11,he drop off area is located in the parking lot in the area outlined with safety cones to the right of the building. For more information contact NOVEC at 703 -335 - 0500 ext. 1633 or 1661, or novecrightofway@novec.com. NOVEC will deliver the wood chip mulch to interested customer at no charge, visit www.novec.com for details. Smithfield - From December 26 through January 11; if you want your tree picked up at curbside, you must contact Kathy Bew - Jones at 365 -4200 or kjones@smithfieldva.gov and provide your address. Tree should be free of the stand, ornaments, tinsel, garland and lights. Special Collection For Christmas Items: Bay Disposal and Recycling will provide free pickup service for Christmas type items (such as boxes and wrapping paper) for all town residents after Christmas Please place all items in boxes or bags at your curbside for collection. Please contact Bay Disposal and Recycling at 857-9700 or the Town of Smithfield Department of Public Works at 365-4200 with any questions on the holiday collection schedules. All schedule changes will be posted on the town website, town Facebook page and published in the Smithfield Times. week period collections will not count against your 12 free bulk pickup collections. Virginia Beach - Christmas trees are picked up curbside on normal trash collection days. Or you may drop them off at the Virginia Beach Landfill and Resource Recovery Center at 1989 Jake Sears Road with proof of residency. Christmas trees will be handled as normal yard debris and need to be free of any decorations or tinsel. All trees and yard debris will be mulched. Williamsburg - City Crews will be collecting Christmas trees curbside on January 7 and January 14. Trees must be placed at the curb before 7 AM and should be free of the stand, ornaments and lights. Please place separately from bulk waste and regular trash. a designated drop-off site within your community where residents can bring their trees. The designated site needs to be in a location with access to the large knuckle boom truck used for collections. In addition to curbside collection, all York County residents, including non-subscribers, may deliver their Christmas trees to the VPPSA Compost Facility, 145 Goodwin Neck Road, from Monday through Saturday, 8 a.m. to 4 p.m. through the end of January.